Take a look at our photo gallery to browse snapshots of our welcoming community in Sandy, Utah at Rockledge at Quarry Bend. Our resident playground is a great place to enjoy the outdoors. Bring along your four-legged friends and take a stroll through our lush, walkable community. Be sure to view our pet policy to learn more about what kinds of pets we welcome and our pet guidelines and restrictions. Take advantage of our on-site fitness center with a vast array of equipment. In fact, our fitness center is by far the largest in the area. Our resident lounge and gameroom area make entertaining easy with a cozy fire place, plenty of seating, and billiards and ping pong. Continue clicking to see pictures of our elegant apartment interiors and renderings of our several layout options. 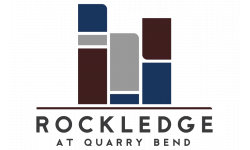 Come see for yourself all that Rockledge at Quarry Bend has to offer when you take a private tour of our community.